Interested in generating more leads or sales for your business? The correct Facebook ad campaigns cannot only grow your list size but generate more revenue for your business. 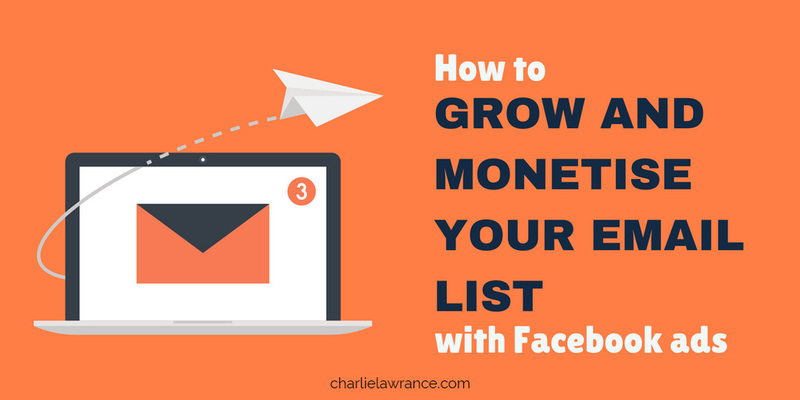 In this article you’ll discover how to build and monetise your email list with Facebook ads. A regular newsletter offer just doesn’t cut it anymore. The average person receives a mind blowing 121 business emails per day. You have to deliver some serious value for someone to part with their email address, especially an up-to-date one that they check regularly and is not a ghost address. 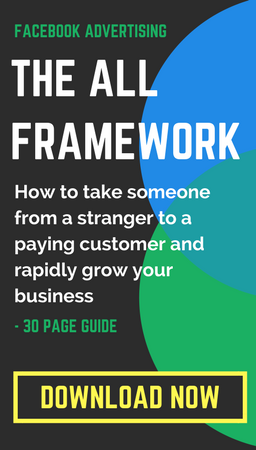 One of the most effective ways to do this is to offer your target audience a Lead Magnet, also known as an opt-in bribe. A Lead Magnet is a piece of valuable content that you offer to your target audience to gather lead information. You have a landing page on your website which features an opt-in form that your target audience will fill in (name and email are the most common form fields) in order to be sent the Lead Magnet via email. The Lead Magnet you create will depend on the type of business you have and the industry in which you operate. For example, if you run an eCommerce company one of the simplest and most effective Lead Magnets is a discount coupon. 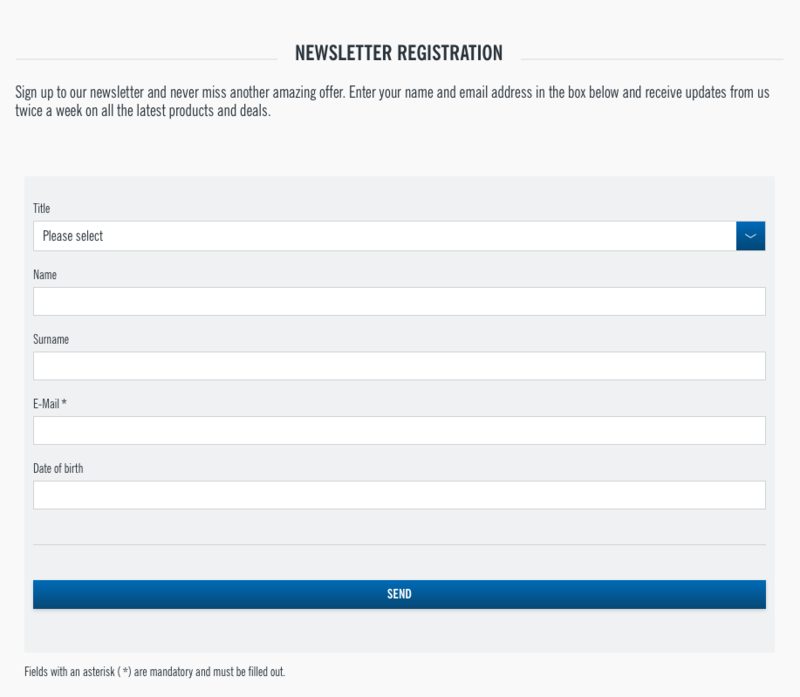 In order to get a site-wide or product discount someone has to opt-in to get the code sent to his or her inbox. 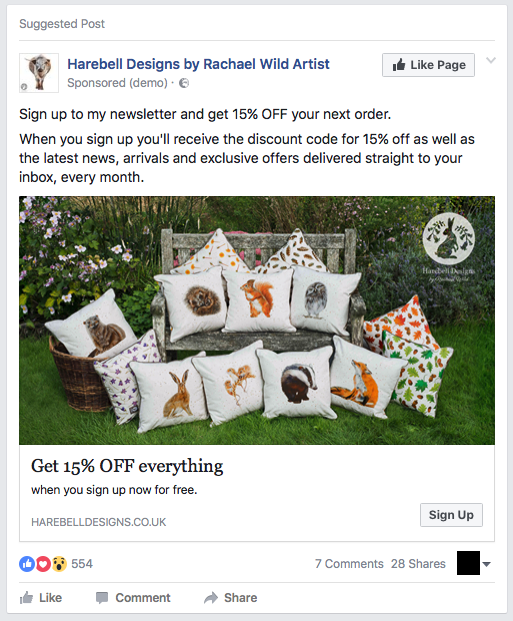 The ad example below shows how you can make a newsletter offer more effective by offering a specific site-wide discount, to really incentivise the opt-in and deliver more value. If your business is in the B2B space, you could create an educational Lead Magnet such as a guide on an important topic in your industry. The goal with a Lead Magnet is to provide value to your target audience, by highlighting a pain point or solving a problem. This in turn helps to build credibility and authority for your business as well as brand awareness and recognition in the Newsfeed. Quizzes are one of the most underutilized yet effective Lead Magnets as they feature an interactive element prior to someone opting in. This gets your target audience to make micro commitments prior to opting in, so when you do ask them to enter their details to see the results of the quiz they’re more likely to do so. 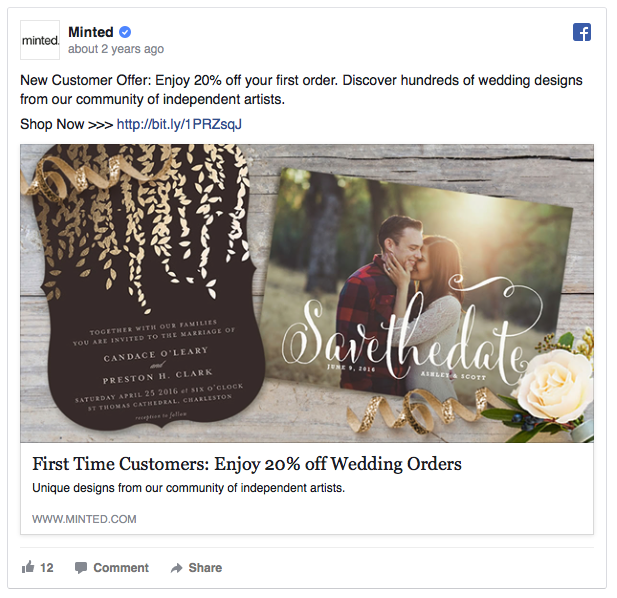 The first step to creating a Facebook Lead Magnet campaign, as with any Facebook ad campaign, is selecting your campaign objective. As you want your target audience to take a particular action, opting in for your Lead Magnet, the most effective campaign objective to use is the Conversions objective. 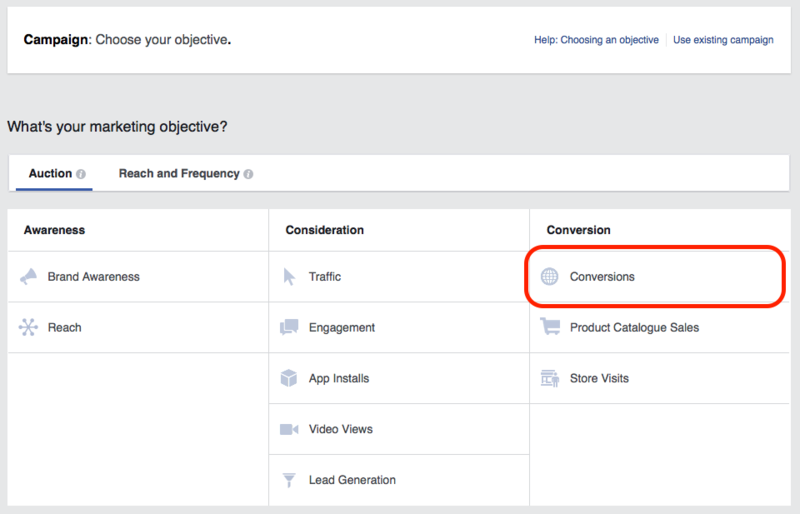 Next, at the Ad Set level, choose the specific conversion event you want to optimise for. Note: Before you can select the conversion event, you need to install the correct conversion tracking on the confirmation page that your target audience will be redirected to after they have opted-in on your Lead Magnet landing page. 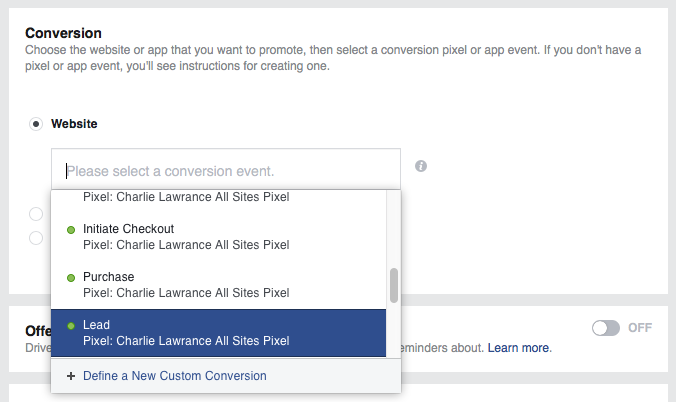 For a full step-by-step guide on how to install Facebook conversion tracking click here. Now select the conversion event that you’ve installed on the confirmation page of the Lead Magnet. Now we move onto the targeting section of the Ad Set level. As Lead Magnets are a type of top-of-funnel content you want to target cold audiences. A cold audience is a target audience of potential customers that haven’t previously engaged with your business. The two main ways to target cold audiences on Facebook are Saved detailed targeting Audiences and Lookalike Audiences. Saved Audiences use the basic demographics and the detailed targeting feature whereas Lookalike audiences are built from source audiences you create. 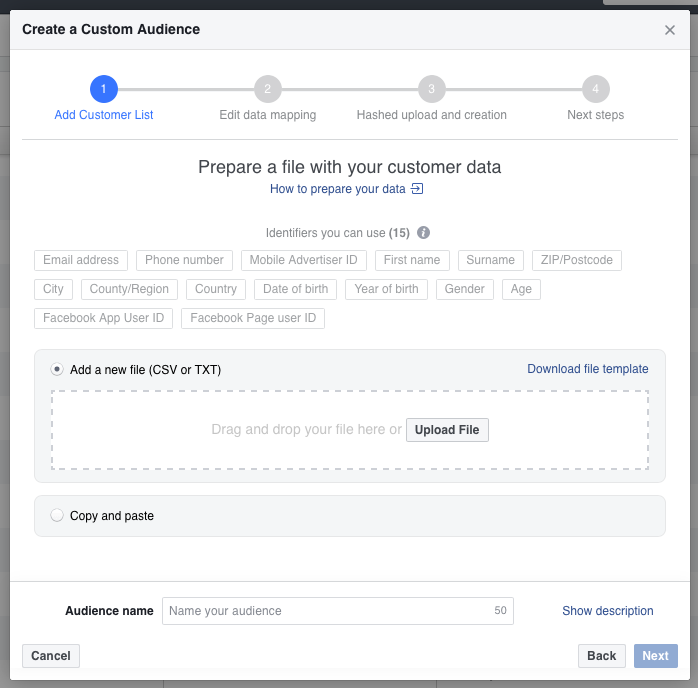 If you have the marketing assets such as customer databases or recorded conversions from the Facebook Pixel, utilise Lookalike audiences as they are often more effective due to more accurate targeting. For full step-by-step guides to using the Saved detailed targeting or Lookalike audiences click here and here. 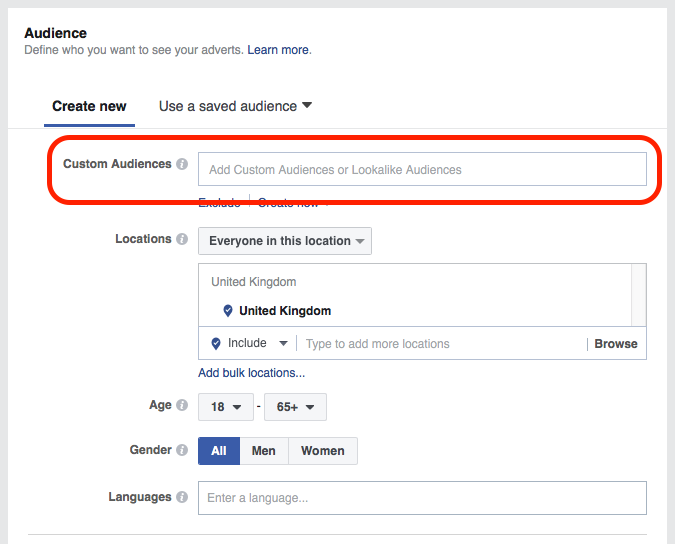 Finally, at the Ad Level you create the ad, which your target audience will see on Facebook. The most effective ad type right now on Facebook is video ads, this is because video content is the most engaging type of content as it takes both the audio and visual communication channels of someone watching. One way to integrate videos with Lead Magnet content is to use video content to give a preview of the Lead Magnet. 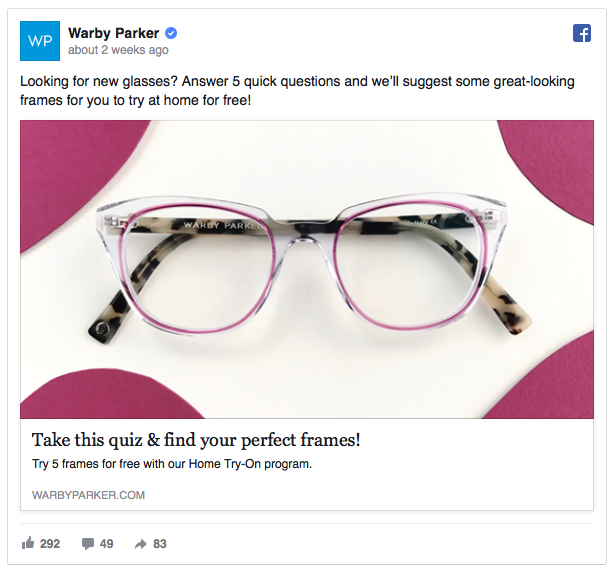 When it comes to ad copy best practices try opening with a question to build curiosity and to hook the reader, then follow it up with the benefits of your Lead Magnet, what exactly they’ll learn and finally close with a call to action. 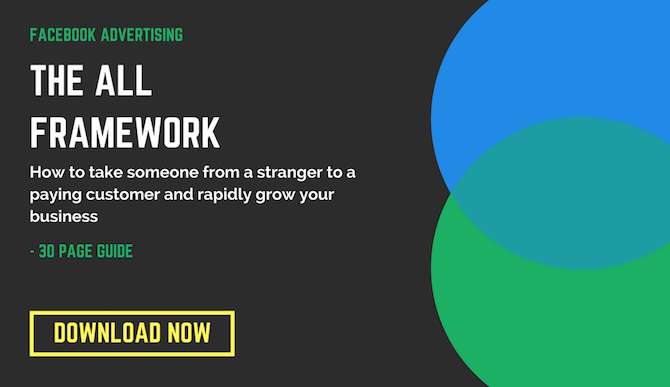 You’ve now got a campaign that is successfully adding people to your email list, now what? When it comes to monetizing your email list, the most effective way is to continue to email them both content and offers to take someone from a prospect to a paying customer. 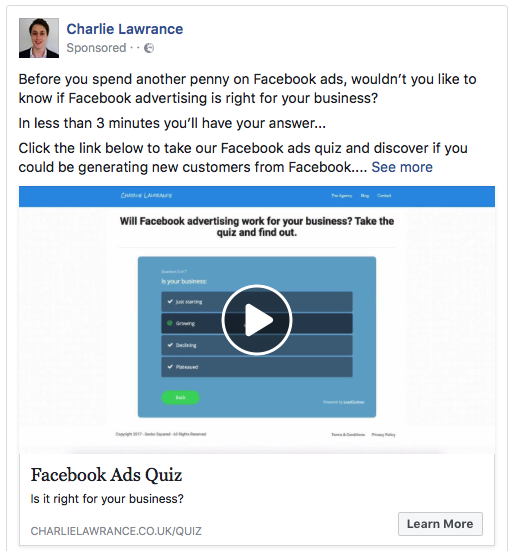 But, by running Facebook ads alongside your email marketing you can see even better results. There are two methods for matching your email list on Facebook. The first is by creating a Customer List custom audience. This involves exporting your list from your email provider and uploading it to Facebook. The other method is to create a website custom audience of people that have triggered the conversion event that you installed on the Lead Magnet confirmation page. This method is going to be more effective as you don’t have to keep updating the list manually, like you do with customer list custom audiences. 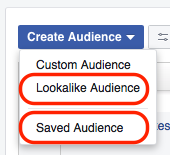 Facebook updates website custom audiences automatically everyday. Now that you have successfully matched your email list via either a Customer List custom audience or a Website custom audience, it’s time to create a remarketing campaign. At this stage you want to run direct response ads about your products or services. The goal here is to drive people from Facebook to your website to find out more and ultimately become a customer. The first step is to choose your campaign objective. Again, as with the Lead Magnet campaign you created earlier, the most effective objective is the conversions objective, because you want people to take a particular action on your website. 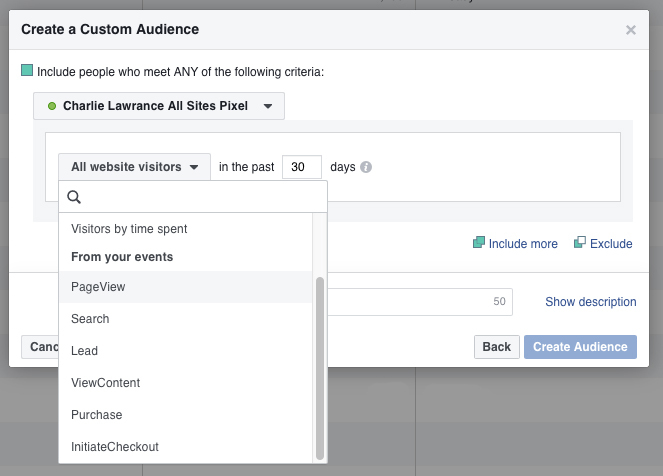 When it comes to the targeting, choose your Website or Customer List custom audience from the Custom Audiences drop down list at the Ad Set Level. Finally create your product or service focused ads. For example, if you’re an ecommerce company and your Lead Magnet is a discount coupon for a first purchase, then your remarketing campaign could be an ad that features your products and reminders your email list to use their discount code. There you have it, how to create both a Lead Magnet campaign to build your email list and then a direct response remarketing campaign to market your products or services to your email subscribers. What Lead Magnet are you going to create for your business? Interesting. This is the first time I am seeing this approach with adding a video & a survey as a lead magnet (hitting 2 birds with 1 stone all in one ad). 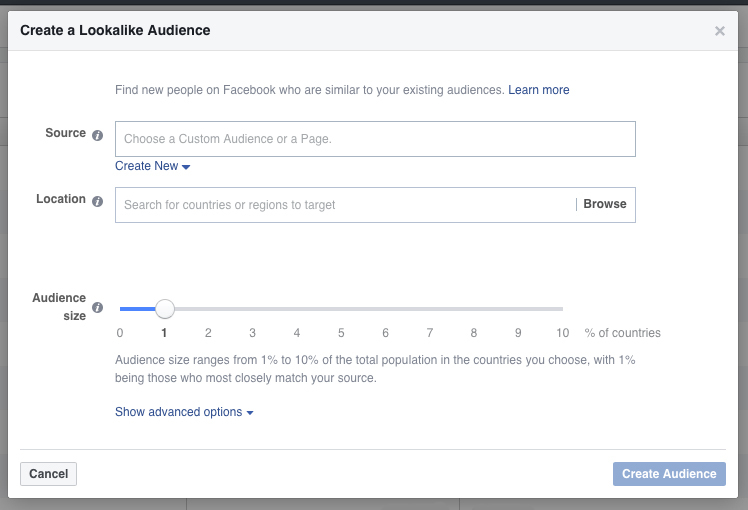 I guess in this scenario, you can create 2 custom audiences for re-targeting? What are your thoughts on this approach? Although it will require 2 ads. 2) Re-target to individuals who have watched part of the video with the conversion objective, that will lead to a dedicated Unbounce, opt-in landing page with a discount as the lead magnet. I have also read about creating a custom audience for people that have watched 3 seconds to be used as an exclusion so you don’t continuously show these ads to people that have already engaged with your video. What are your thoughts? I stumbled across your site and I am enjoying the content! Yer you are absolutely right Jim. That’s a logical approach. I would test that approach against a single video ad, using the conversions objective, driving traffic to the lead magnet landing page and then another remarketing campaign targeting landing page views and the video views to capture people that didn’t convert the first time they saw the lead magnet. Good question, we create separate video custom audiences for each engagement level and then only include 10 seconds or more or 25, 50, 75% audiences when running level 1 video remarking. Thanks glad you like the blog. If you haven’t already subscribed you can get the latest posts and exclusive tips delivered right to your inbox.